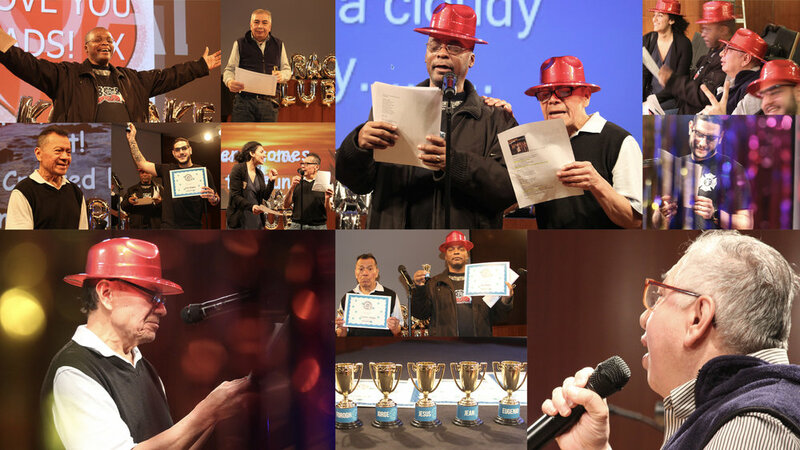 KARAOKE CLUB it is a safe space in which immigrants who are taking English classes can practice the language by singing songs, studying the lyrics, learning new vocabulary and pronunciation, and American Culture through music. 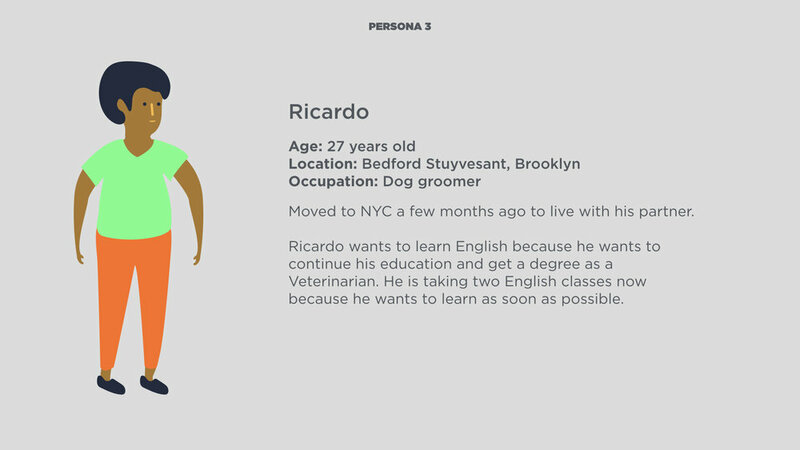 We partnered with the Brooklyn Public Library and the Queens Public Library at Corona to prototype a new way to learn a language. My role: designer lead, design researcher, ethnographic researcher, workshop lead, branding designer, illustrator, logo designer, presentation designer and process book designer. Question: How can we support immigrants who want to learn English? This project was the final thesis project of the Master's Degree in Design for Social Innovation at the School of Visual Arts. My thesis partner and I chose the topic of education and decided to develop it towards the immigrant population because we identified many need in this group, of of which was language learning as a way to feel integrated. 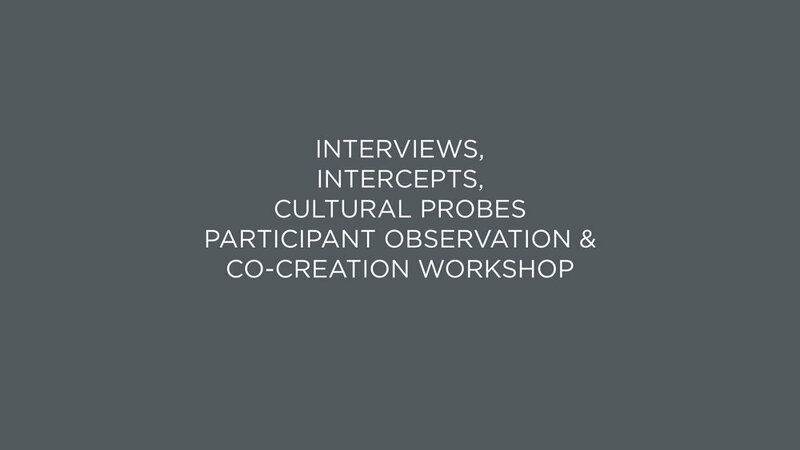 Our process began with holding intercepts and interviews with immigrants in foreign-born communities such as Corona, in Queens and Bushwick in Brooklyn. We scoped our research towards immigrants who are already learning English, and interviewed students from the free English classes offered at various public libraries in the city. We conducted participant observation sessions and interviews with students and teachers at the Queens Public Library. We also conducted participant observation at Adhikaar Center and the Brooklyn Public Library. We held a workshop at the Queens Public Library to understand students' schedules and prototype our first idea of learning a language through every day activities. From that workshop we learned that most participants (English language students) don't practice English outside of their classroom because in their immediate environment they are surrounded by people who speak their native language. We learned that we needed to create an alternative space to practice English. We held a co-creation workshop at the Brooklyn Public Library to learn what activities participants enjoy and create ways in which those activities can be used to practice English. This research process gave us insights about the key elements that we needed for our intervention. Parallel to our interviews, we held analysis and synthesis sessions to reframe the language learning process. We created personas based on the ESOL students that we interviewed. We identified the barriers that people have to learning English and identified key elements about language learning that we needed to include in our intervention such as: practice, social, safe space, empowerment and fun. 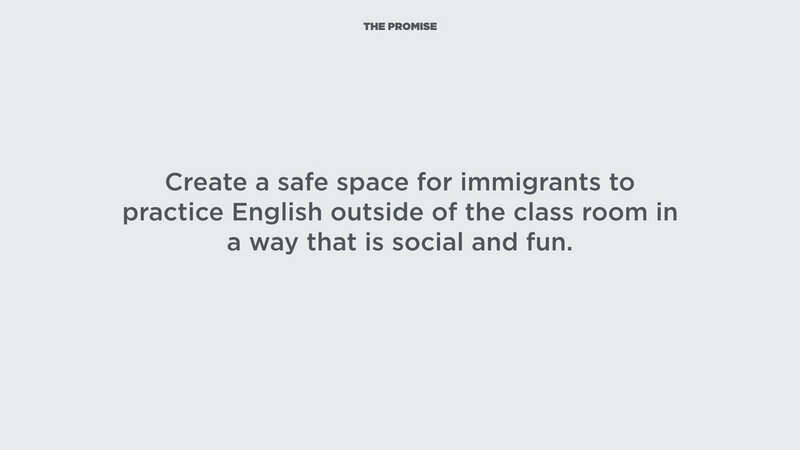 We identified our promise with this project, which was to create a safe space for immigrants to practice English, and developed a theory of change to have a clear and realistic objective that could fit with the timeframe of this project. Through various interviews and research with students and English Language instructors, we found that there are five main elements in the learning process that can be adopted for teaching English to immigrants: Practice, Empowerment, Social Interactions, Safe Space and Fun. Learning a language is intimidating and takes time. 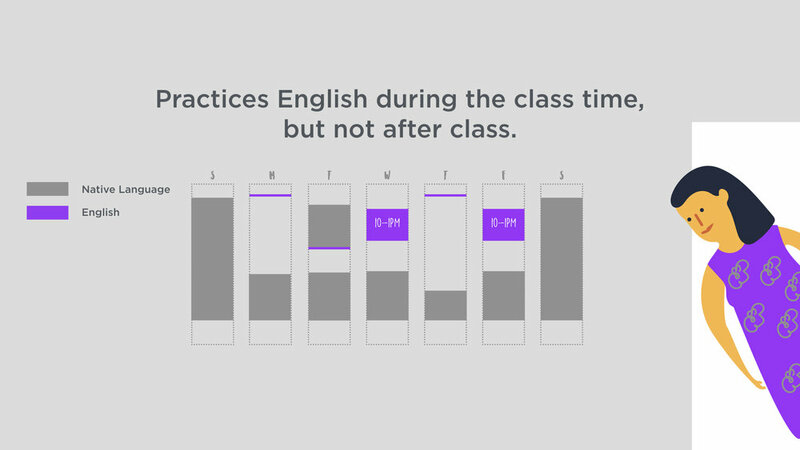 Most people don't have a safe space where they can further practice English outside of their classroom. 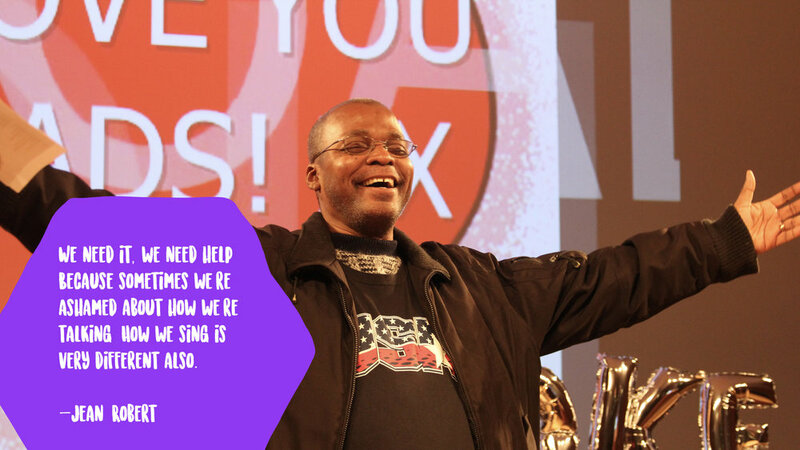 People need a safe space where they can practice and we believe music can offer that. 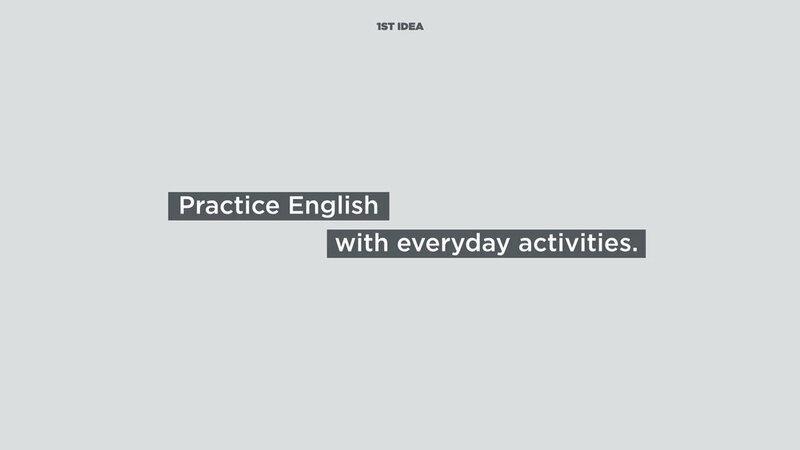 I am currently part of the SVA's Groundfloor Incubator to further this idea and create a digital product that can be used by instructors in language learning classes as well as individually by ESOL students. This project was in collaboration with Irene Rojas. Advisor: Archie Lee Coates IV.